Upon her father’s death, beautiful, headstrong Lady Clare knew that she must wed, for the protection of the Isle of Desire now fell to her. 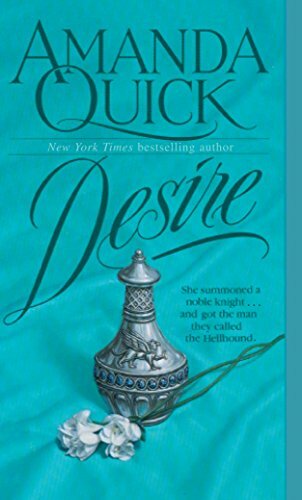 Yet when her guardian’s choice of prospective husband rode through her castle gates, she felt utterly betrayed. All sinewy muscle and savage steel, Sir Gareth of Wyckmere was not the poet she’d requested but a fearsome knight whose only interest was in war. Legions of robbers had fallen beneath the Hellhound of Wyckmere’s sword, and now this bold warrior was certain that he could tame one willful wife. Yet even Gareth could not deter Lady Clare from trying to mold him into her ideal… until their clash of wills ignited a passion that set them both aflame… and a treacherous plot put their lives in deadly peril. Originally published in December 1993.